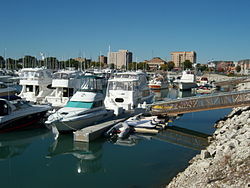 Wisconsin is a state located in the Midwestern United States. 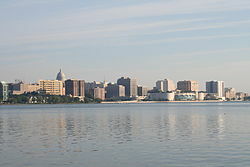 As of April 1, 2010, there were 190 cities in Wisconsin. 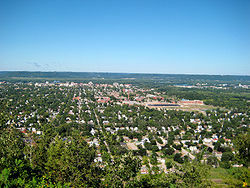 See also: List of villages in Wisconsin, List of towns in Wisconsin. 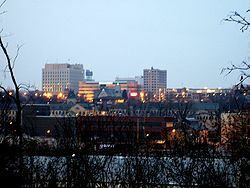 ^ Wisconsin Legislative Reference Bureau. State of Wisconsin Blue Book 2011-2012, p. 727. ^ Wisconsin Legislative Reference Bureau. Wisconsin Blue Book 2013-14 Archived 2013-12-08 at the Wayback Machine, pp. 735-738. Retrieved April 20, 2014. 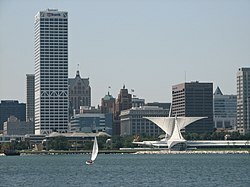 Wikimedia Commons has media related to Cities in Wisconsin. 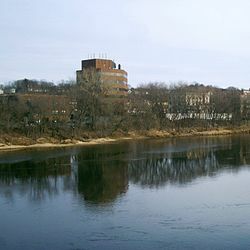 This page was last edited on 7 January 2019, at 06:18 (UTC).